My wife has been out of town for work this week (coming back tonight actually) so I took advantage of my free time and got busy on rewiring my 71 T Bolt. After trying to differentiate between the yellow and white wires (which were identical due to age) I finally got it wired and for the first time since I had the bike I was able to get her to spark. A nice big blue spark to be exact. So I rebuilt the carb, adjusted the rocker valves to .008 and .010 (as someone from the Britbike.com BSA forum kindly informed me) slapped the rocker cover on with a new gasket and reinstalled the rear wheel (so that I could try to kick start it without dropping her on the swing arm). I don't have the gas tank ready yet so I sprayed some starter fluid into the carb and after a few failed kicks I realized that one of my connections had come loose. I reconnected the wire, kicked her again and VROOOOOOOOOOM! Just a few seconds of muffler-less roaring glory but I am beside myself with joy that she actually ran. 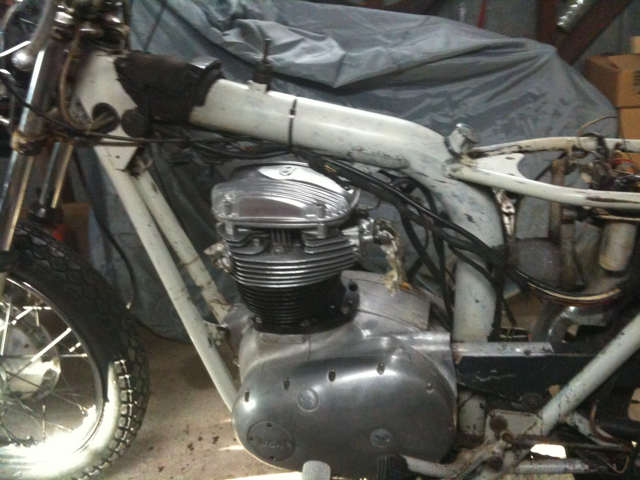 This is my first attempt at resurrecting a motorcycle (which hasn't run in over 20 years) so I'm quite ecstatic! I still have a few issues to deal with before I can get her on the road, but I'm hopeful that she'll be ready by early spring. Today was a very good day! T- minus 10... We have ignition!!!!! Rear tire was flat and bald and areplacement is on it's way. 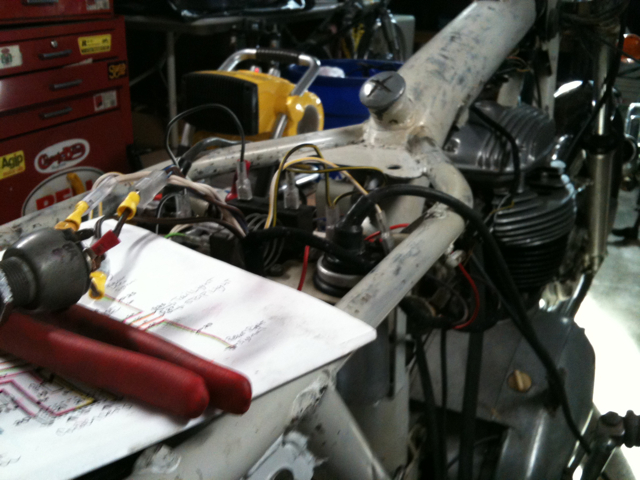 Time to clean up the rear and put my new wiring harness in place. While I'm at it the rim could use a freshening up. The hub has lots of flaking paint. I really don't feel like taking off the spokes as I have wheels that still need to be re-threaded and trued. I think I'll just clean it as best I can for now. Maybe next winter I'll tear this bike apart again and repaint everything as I want this bike to run for the first nice day in march. Now I'm really in neck deep. This is what hours of chipping away with a razor blade has left me with. The whole bike had been painted with flat black spraypaint to cover up the factory polar gray frame. Most of the exposed areas had little to no black paint left, so away I went! 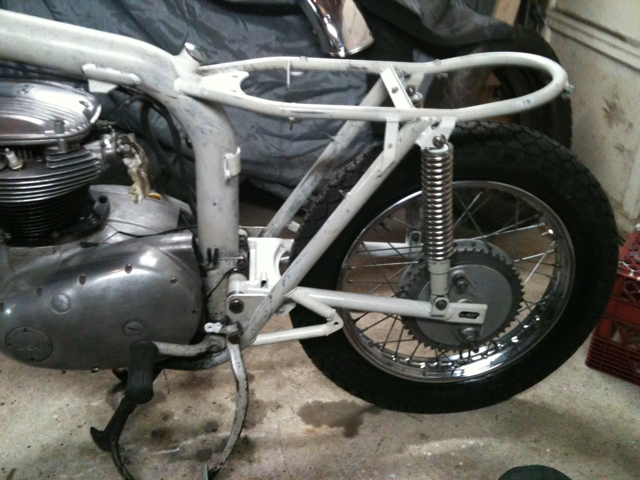 Removing the BSA A10 swing arm and silent block bushings. Drop Bars - cafe cl360 project. Great details! 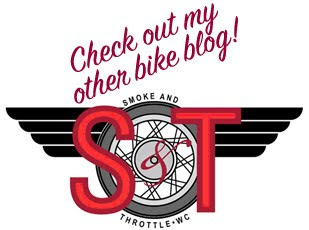 Smoke and Throttle - My other blog covering other peoples bikes and events. Team OBSOLETE- These were the guys I watched growing up. They rarely lost.